Springtime is here and so are the allergies. Normally, I am not bothered by seasonal allergies, but for whatever reason this year, I have found myself sneezing, red, watery eyes and even a cough. Rather than taking over-the-counter medicine, I turn to acupuncture and oriental medicine to help get me through the blooming season. Acupuncture and herbal medicine can be very effective in helping relieve allergic rhinitis symptoms. It works best if people with known allergies come in prior to the ‘blooming’ season. This depends on the severity of the allergies, so some may need to come in months prior. The pre-season treatments allow us to prepare and strengthen the body before it is overloaded with all the allergens in the air. During the allergy season, acupuncture and herbs are maintained to help manage allergic rhinitis. 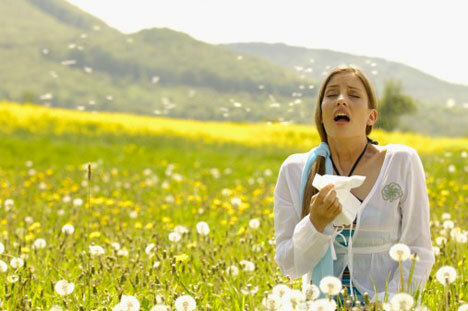 The number of treatments during the allergy season depends on each person. Personally, I take my herbs daily and give myself a minimum of one treatment per week. If I know I will be spending a lot of time outdoors, I take a couple of herbs before heading outside and the allergens do not bother me. The American Journal of Epidemiology recently published a study that showed that acupuncture can significantly relieve allergic rhinitis symptoms. In this German study, 5,237 men and women were analyzed to evaluate the effectiveness of acupuncture in addition to routine care in patients with allergic rhinitis compared with treatment with routine care alone.